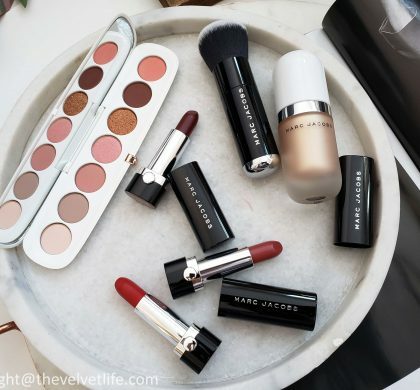 If you have been following me for a while, you might know how much I adore the products from Surratt Beauty, the foundation, blushes, lid lacquer, brushes, and last but not the least the Surreal Skin Concealer. 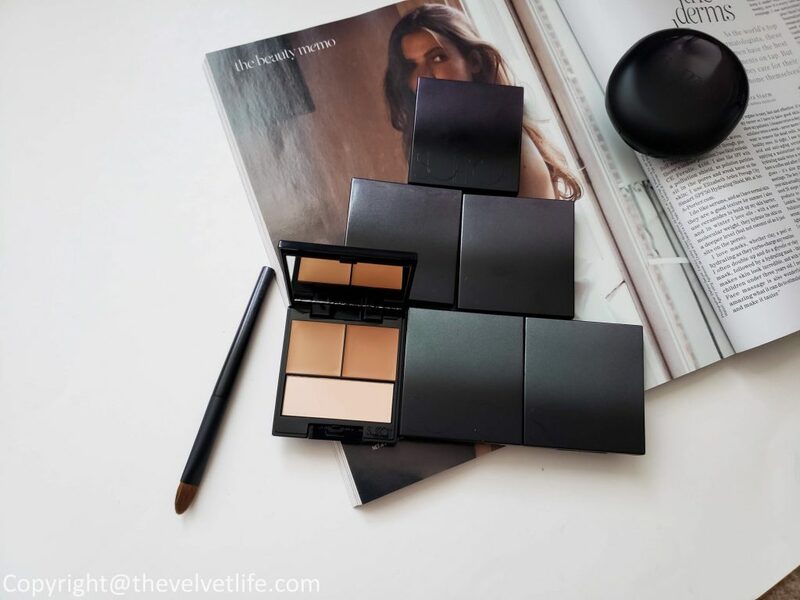 There is new concealer launched by the brand which has become one of my favorite concealers. 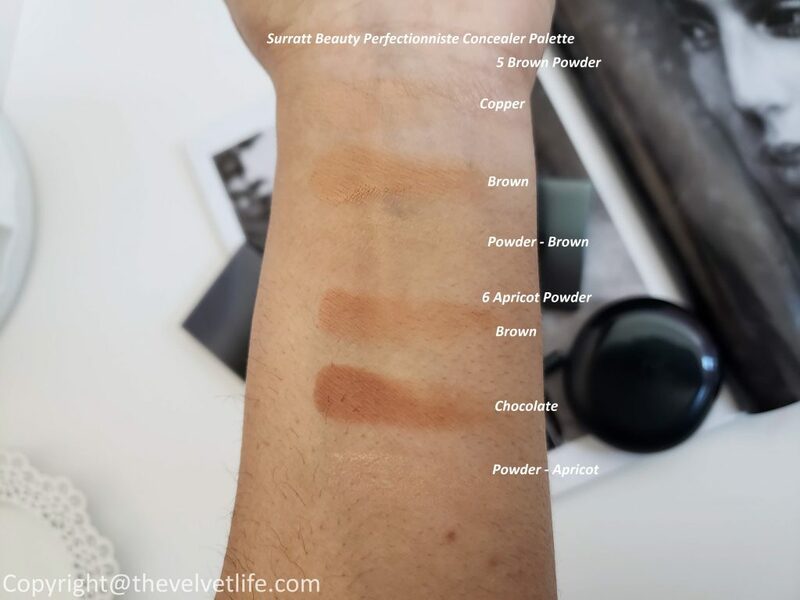 I took a little longer than usual to post this review with swatches (holiday season you know) but it has been tested for long enough that I can give you all the surety that you might need before you indulge into the Perfectionniste Concealer Palette. 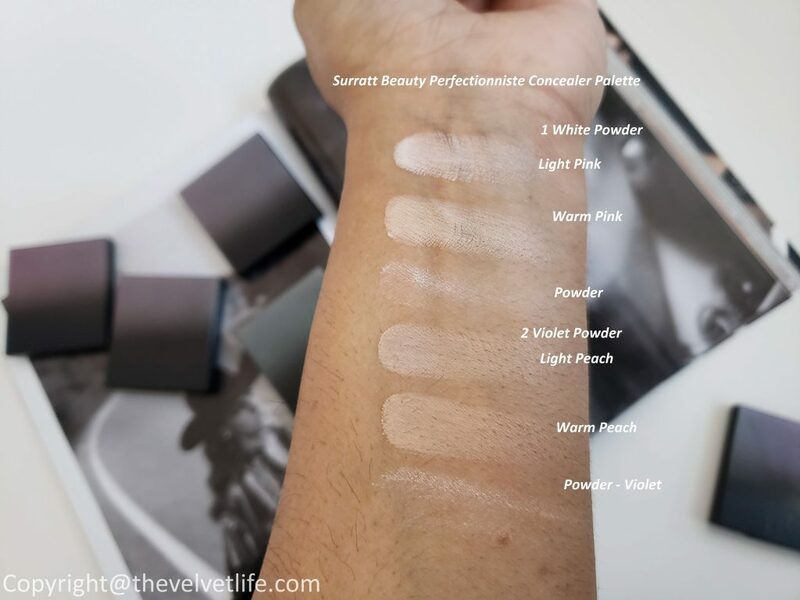 Surratt Beauty Perfectionniste Concealer Palette is a full-coverage concealer palette for creating an impeccable complexion and customized coverage. This high-coverage formula obliterates dark circles, blemishes, and other imperfections. Use the lighter shade to conceal and brighten, and the deeper shade on forehead, nose, cheeks, chin. 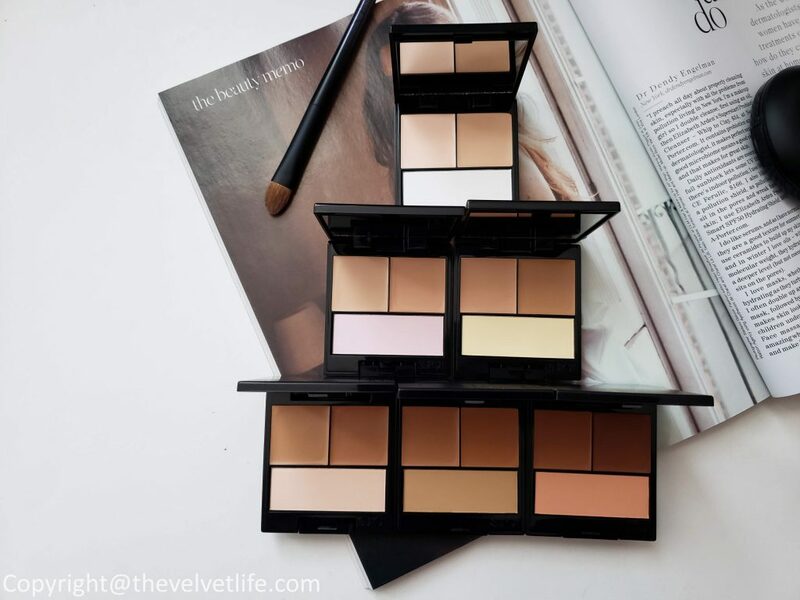 The two shades blended together create an optimal shade to perfectly complement your skin tone, any time of year. 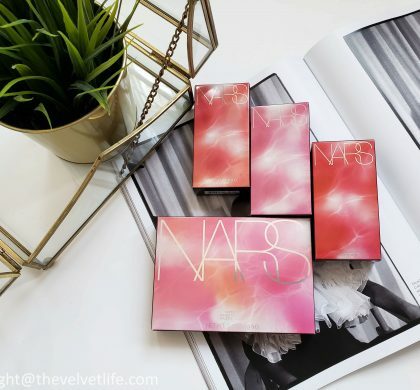 The finishing powder sets the concealer and lends light-refraction. This palette is available in six tri-colorways—each with two creams and one setting powder—for customizable coverage. 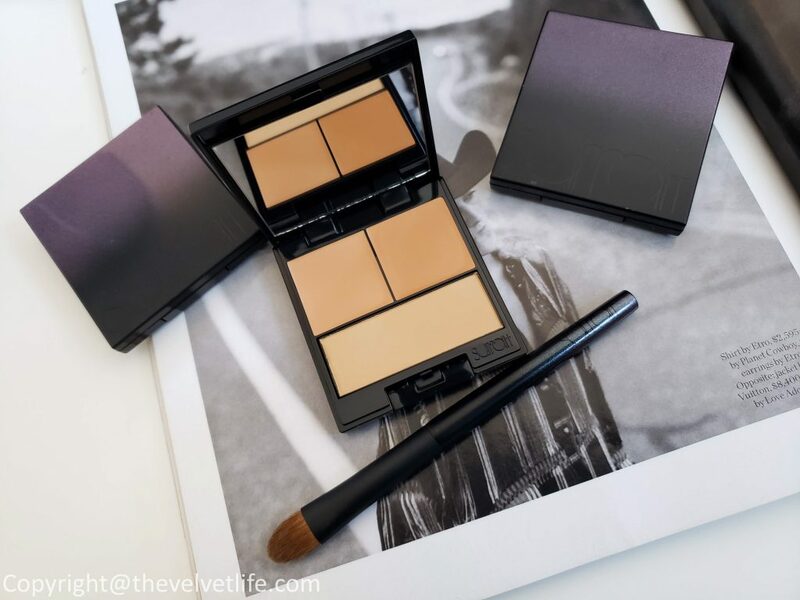 I am really impressed with this product overall, both the concealer shades and the finishing powder, they all complement each other so nicely. The concealer melts into the skin, without looking cakey or making the skin look dry or emphasize the problem areas. 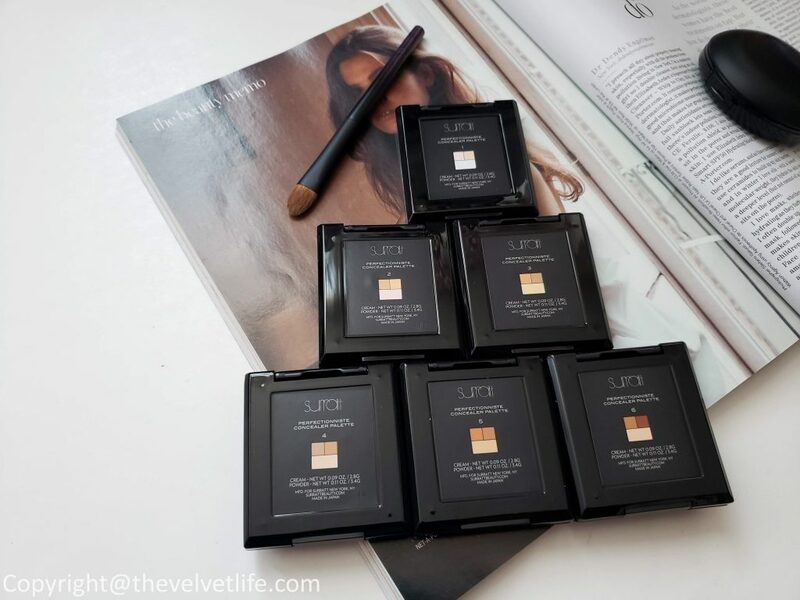 It is quite pigmented and a little is all you need for nice medium coverage which is easily buildable to full. Another important thing I am really loving this for is the longevity, it stays on put for over 8 hours which for me is so impressive. 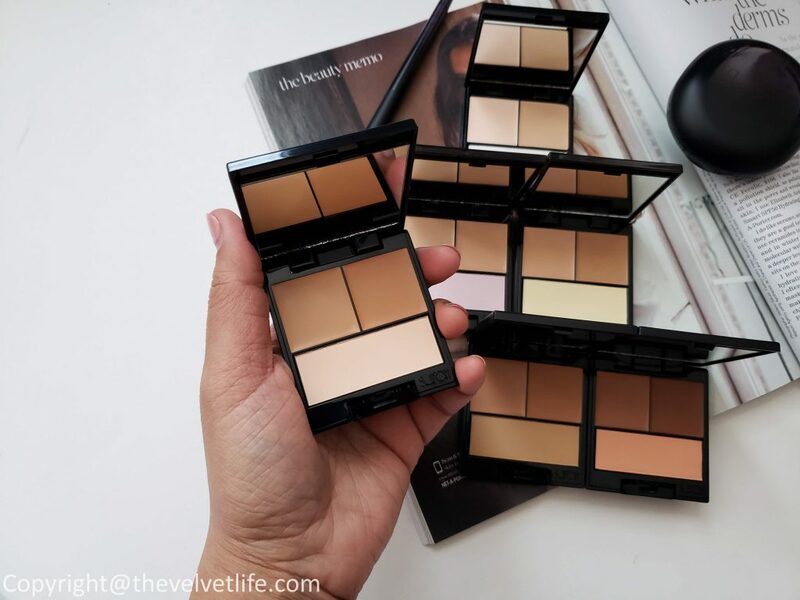 I use the lighter shade under my eyes to brighten them up and use the darker shade alone or blend it with the lighter shade to spot conceal my acne spots and pigmentation. I use the setting powder with a light hand to set the concealer. I never had to retouch the areas during the 8 hours I have it on, until I am back from work in the evening and remove the makeup myself. 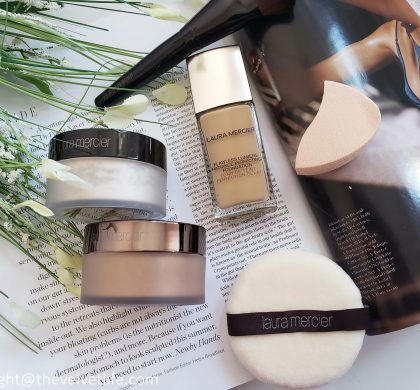 The concealer does not feel heavy, it is very lightweight and applies beautifully on the skin. It even works great as a primer for eyes and even to highlight the high points of the face with the lighter shade. 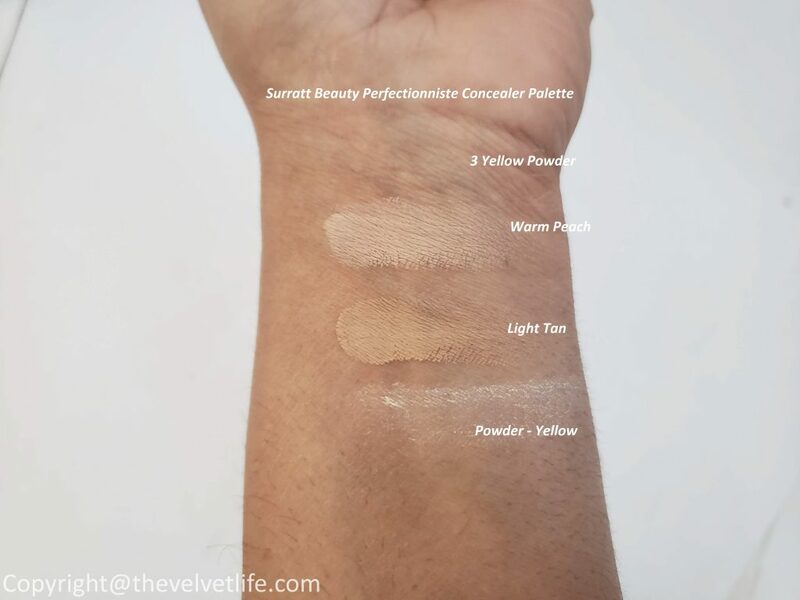 I use Perfectionniste Complexion Brush or my fingertip or any other concealer brush to apply the concealer and a powder brush to apply the setting powder. I prefer to use Perfectionniste Complexion Brush most of the times as it works amazingly with the cream formula, helps apply it precisely as well as does not irritate the sensitive area near eyes. 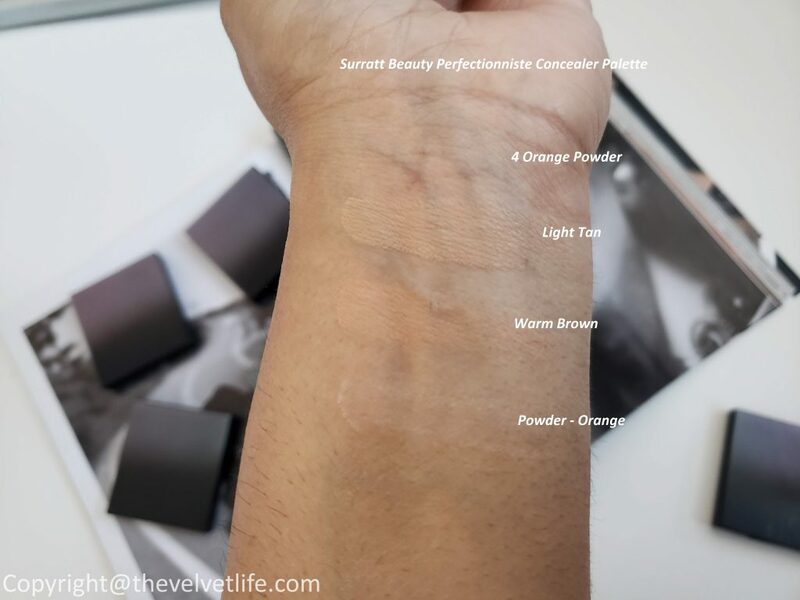 Once I apply it, I tap my finger on the area few times to set it nicely, I feel the warmth of the skin makes the product blend in more nicely to give a more natural finish. The setting powder is very fine, does not settles into the problem areas or lines nor it makes them dry or cakey. 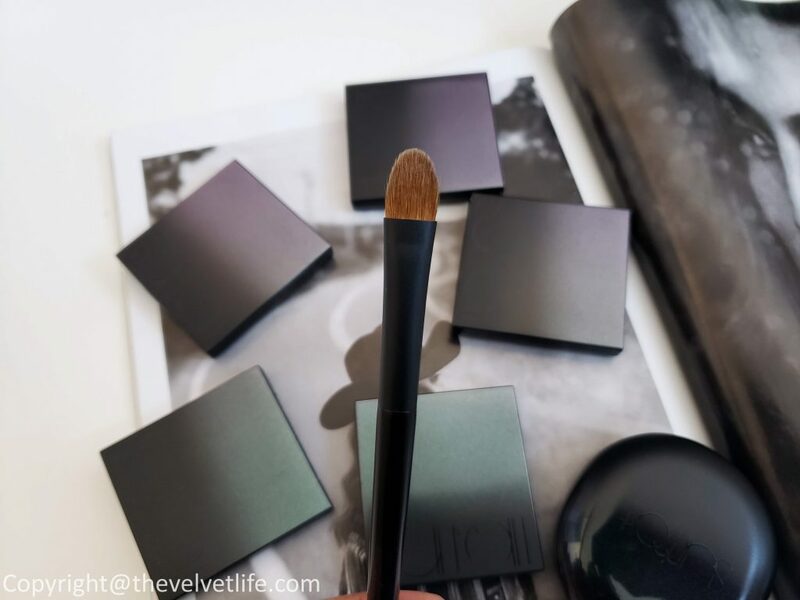 Surratt Beauty Perfectionniste Complexion Brush is a densely packed brush for perfecting the complexion in targeted areas. The bristles allow for the optimal deposit of product on the skin, while simultaneously preventing over-saturation. It is equally suitable for applying concealer and foundation, giving a perfectly natural finish. As with other Surratt Beauty brushes I own, this brush is also perfection.